This PeopleFluent predictions report captures some of the most meaningful changes on the HR landscape for 2016. 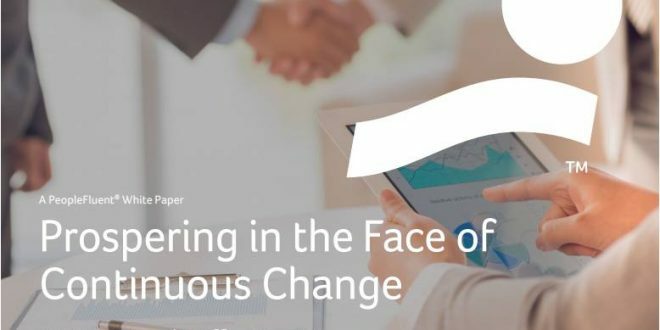 And change is on the horizon – in the composition of workforces, in the expectations and demands of employees, and in the tools and technologies available to support them. The report explores 10 predictions across all HR functions, from recruiting to succession planning. 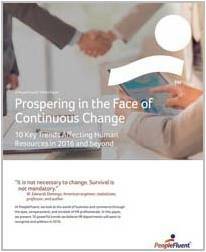 Download Prospering in the Face of Change: 10 Key Affecting Human Resources in 2016 and beyond to stay ahead of what’s ahead. Next GUIDE: Why Real-time Anytime, Anywhere Feedback delivers better Business Outcomes?